Andrew Lacon has a studio-based practice based in Birmingham. He studied at The University of Plymouth (BA) and The Royal College of Art (MA). Alongside his practice as an artist, Andrew setup and curated the artist led project Recent Activity with artist Andrew Gillespie between 2015 - 2018. Andrew Lacon is a member of the Art Research Group. Lacon, A., 2017. Fragments, Dundee Contemporary Arts, 9/12/2017 - 25/2/2018. Lacon, A., Kaur, J., 2017. Fugazi, Division of Labour, London, 6/4/2017. Lavender, J., 2017. Jack Lavender Stones, Recent Activity, 16/6/2017 - 22/7/2017. Freije, K., 2017. Kira FreijeThe Dark Away, Recent Activity, 22/4/2017 - 27/5/2017. Frost, A., 2017. Nomadic Vitrine: Alex Frost, The Royal standard, 26/5/2017 - 22/6/2017. Lacon, AP., Cross, D., Cornford, M., O'Doherty, B., Berger, C., James, N., Masding, J., Nove Josserand, F., Orr, JF., Popova, Y., Leonavicius, S., Wade, G., 2016. After, Division of Labour, 20/10/2016. Edwards, S., 2016. Historic Activity | Recent Activity, School of Art, Birmingham City University, 22/11/2016 - 29/11/2016. Lacon, A., Masding, J., Gillespie, A., 2016. Image Music Text, IMT, 2/9/2016. Ackroyd, R., 2016. Nomadic Vitrine: Rebecca Ackroyd, Eastside Projects, 1/8/2016 - 5/8/2016. Giles, I., 2016. On the way to Language, University of Birmingham, 1/12/2016. Lacon, AP., Mealor, A., Lee, S., Lavender, J., Gillespie, A., Bloor, S., Bloor, T., Blackett, H., Kirkham, R., Essen, M., Adam, V., 2016. Sculpture Garden, Recent Activity, 25/6/2016. Sutherland, O., 2016. Untitled (Loosing It), K4 Architect, 2/11/2016 - 18/11/2016. Lacon, A., 2015. After Carl (pt II), Sluice, London. Lacon, A., 2015. Against Nature, London Art Fair, London. Lacon, AP., 2015. Andrew Lacon, Edel Assanti, London, 29/4/2015. Lacon, A., Wade, G., Condorelli, C., McDonald, E., Nove Josserand, F., 2015. Display Show, Temple Bar Gallery and Studios, 3/7/2015 - 29/8/2015. Lacon, A., 2015. Division of Labour & Worcester, Worcester City Museum and Gallery. Lacon, A., 2015. Studio Capri, Syson Gallery Project Space, Nottingham. Lacon, A., 2014. After Carl (ptI), Exchange Rates, New York. Lacon, A., 2014. After the Image, Unseen, Amsterdam. Lacon, AP., Fabregras, E., Cuckle, T., Kjærgaard Præst, M., 2014. 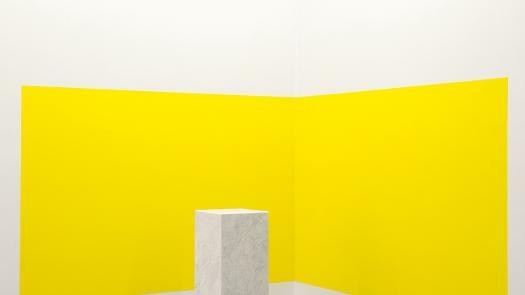 Eva Fabregras & Andrew Lacon, Kunstraum, 26/4/2014 - 31/5/2014. Lacon, A., 2014. Homage to January, Division of Labour, Worcester. Cross, D., Cornford, M., Pitt, N., Lacon, A., 2014. Plane Materials, University of Brighton Gallery, 4/10/2014 - 2/11/2014. Lacon, AP., Whipps, S., 2014. Reference Works: Changing British & Chinese Libraries Through the Lens of British Artists, Multi-culture Library (8th Floor, North), Guangzhou Library, China, 25/11/2014 - 25/2/2015. Lacon, A., 2013. 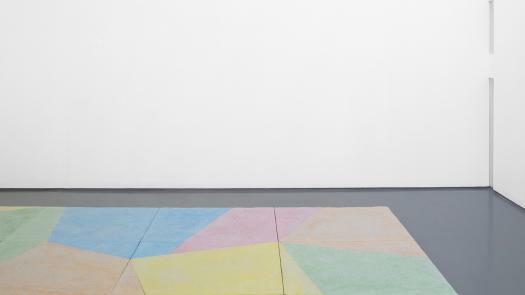 Agalmatophelia: Fig 1 (Solo), Baltic | 39, Newcastle. Lacon, A., 2013. Au, Beers.Lambert Contemporary, London. Lacon, A., 2013. Curiosity Killed the Cat (collaboration with Marie Toseland), Eastside Projects, Birmingham. Lacon, A., 2013. Inherent Vice, Bold Tendencies, London. Lacon, A., 2013. Reference Works, Library of Birmingham, West Midlands. Lacon, A., 2011. A Magnitude in Albion (Solo), Outpost, Norwich. Lacon, A., 2011. Approaching is Distancing, BKS Garage, Copenhagen, Denmark. Lacon, A., 2010. Album, Wolstenholme Creative Space, Liverpool. Lacon, A., 2010. Enter Right Exit Left (Collaboration with Tom Pope), The Hockney Gallery, London. Lacon, A., 2010. The Priory (Solo), Dudley Museum and Art Gallery. Lacon, A., 2018. 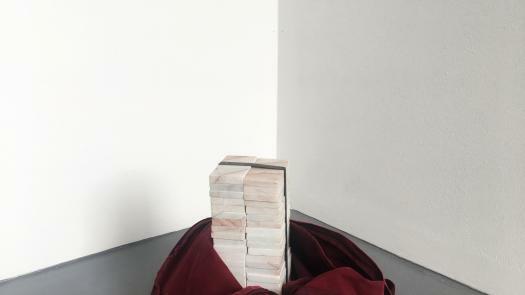 'Fragment', Dundee Contemporary Arts, Scotland. Lacon, A., Dara, E., Hammonds, K., 2017. 'Fragments', Dundee Contemporary Arts, Dundee, Scotland. Lacon, AP., 2015. 'Andrew Lacon', Cut Throat Cottage / Division of Labour. Lacon, A., Hammonds, K., Dara, E., 2017. 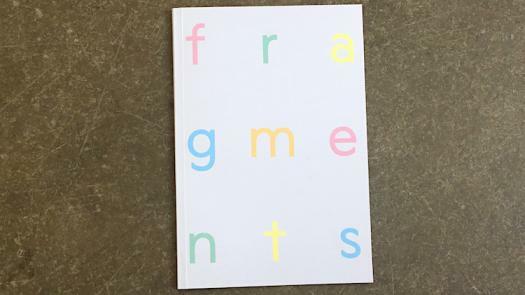 'Fragments'. Lacon, A., 2016. 'Radical Sabbatical', Residency supported by University of Birmingham and Eastside Projects. Lacon, A., 2015. 'SOMA Artist in Residence, Mexico', Research Residency supported by Grand Union, Birmingham and British Council. Lacon, A., 2013. 'Artist in Residence', Group Occupation. Residecny at New Art Gallery Walsall by Extra Special People..
Lacon, A., 2011. 'Research Residency, Henry Moore Institute'.